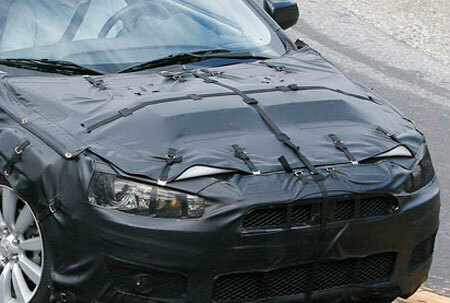 Brenda Priddy & Co have captured these nice spyshots of what might be the upcoming Mitsubishi Lancer Evolution X, which will debut in 2008. From the spyshots on Dubspeed Driven, we can see that the concept has pretty much stayed true to the Mitsubishi Concept X shown in September 2006. The bulge on the bonnet seems to indicate a top mounted intercooler since there is nothing visible in the bumper grilles, though I’m not sure what kind of intercooling it’s supposed to be doing covered up like that. If you peek into the interior, you can see a twin-pod type of meter design, similiar to the ones found in our Protons and Lotus cars. The Mitsubishi Concept X showed a similiar twin-pod design but the meter holder itself was not twin-pod shaped. Pictures of the Mitsubishi Concept X for your comparison are after the jump. For the full spyshots, head on to Dubspeed Driven. 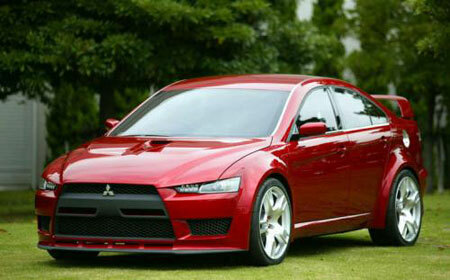 For more photos of the Mitsubishi Concept X, check out this post. UPDATE: This is likely a next generation Mitsubishi Lancer being tested, due to the abscence of wide flared fenders and a wing at the back.